Real Photo Postcard showing young Agnes, who I believe was Agnes Elizabeth Wilcox, daughter of Robert and Agnes (McNamara) Wilcox, born about 1910 while her parents were in Panama. 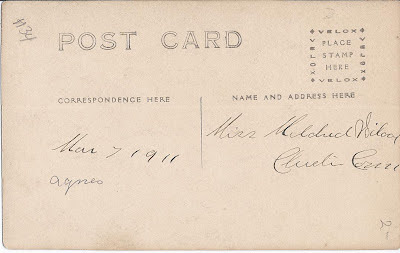 The postcard was addressed to Robert's youngest sibling, Miss Mildred Wilcox at Chester, Connecticut, but doesn't appear to have been sent by mail. 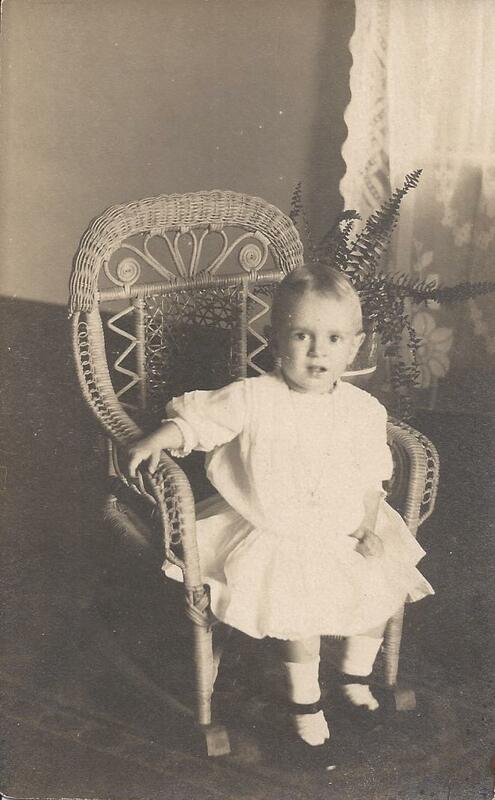 There's a date, March 7, 1911, written on the card, which I assume is young Agnes' age when the photograph was taken. Robert Wilcox and his sister Mildred Wilcox were the children of Joseph S. Wilcox and his wife Mary or Marie Wilcox, who were born in Connecticut and Germany respectively. Robert was born about 1877 in New York, and Mildred about 1893 in Connecticut. There were six other siblings, two born in New York and the rest in Connecticut. Young Agnes' mother, Agnes Elizabeth McNamara was born about 1873 in Connecticut. I believe she is the Agnes McNamara who was enumerated in the 1900 Census of Chester, Connecticut, along with her sister and two brothers. 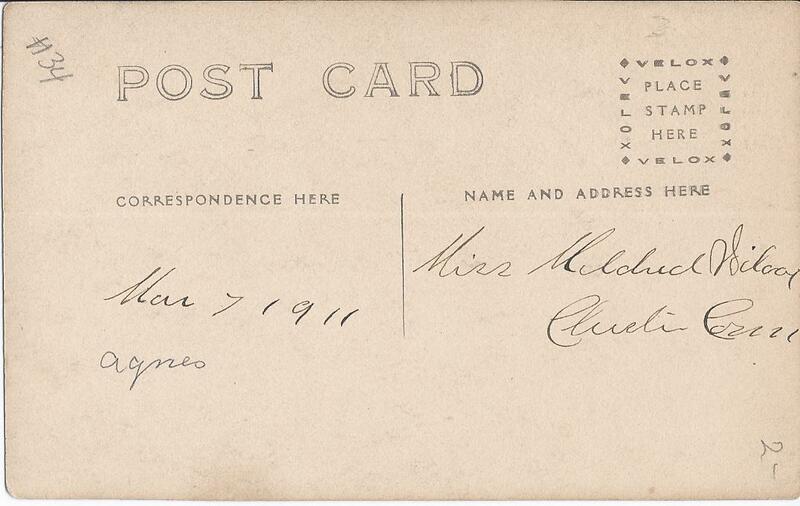 Young Agnes would grow up to marry Albert Alexander Campbell in New Hampshire. If you have any corrections to the information above or any additional information to add, please leave a comment or contact me directly.